Available for purchase now. 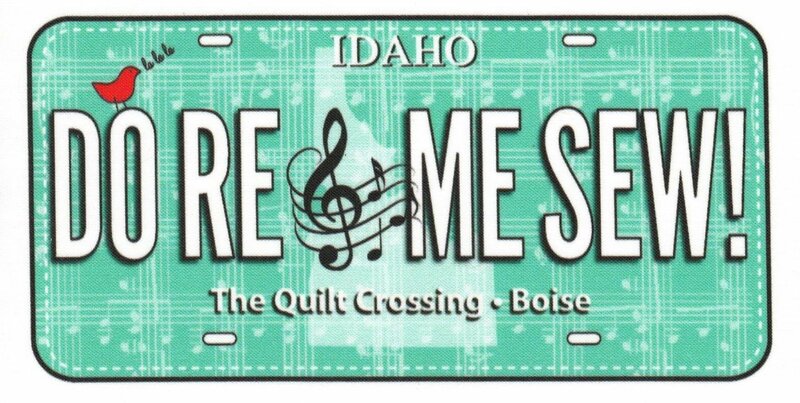 The 2017Row By Row fabric license plate. The plate contains our own unique 2017 vanity saying "You Go-I'll Sew", " , our shop name and home city. The Fabric Plates are unique novelty printed panels that can be added to make any project, tote, or quilt more fun!. The only limit is your imagination!. The fun panels are made on 100% organic Sateen Cotton. They are washable in gentle cycles with non-phosphate detergents. For best results sew with a fine needle.